As we all know, the best tasting food in life comes in the shape of circle. Craving something sweet today? Take a look at these tasty doughnut treats in the Chatham County area. Whether you’re a sprinkled, glazed or old-fashioned doughnut lover, these delicious stops will satisfy any kind of sweet tooth! Who doesn’t love bacon? 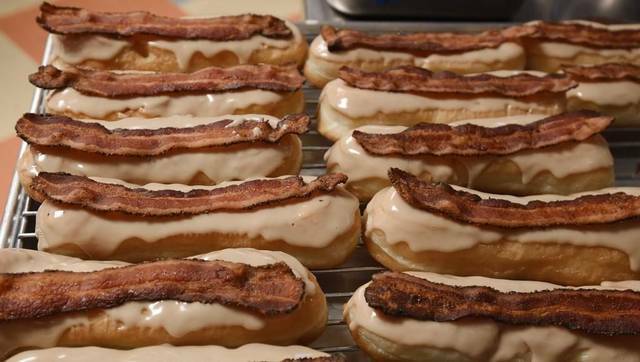 The better question is, who doesn’t love bacon on top of doughnuts? 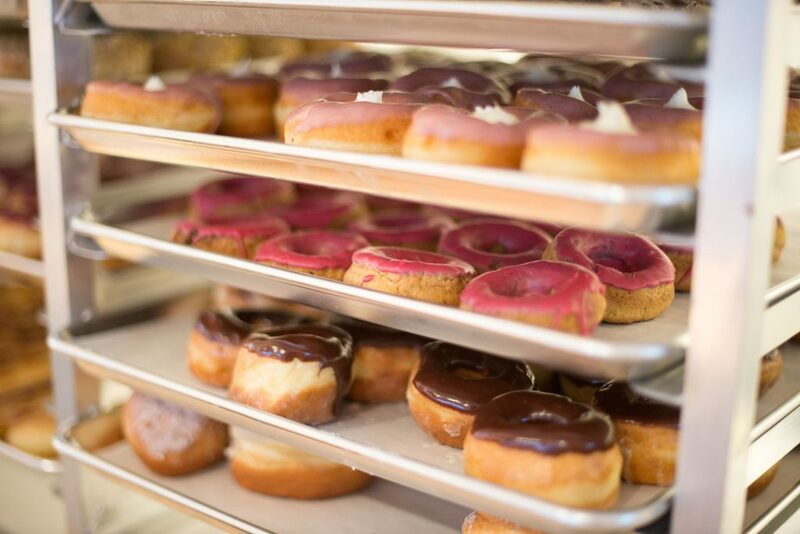 Rise Biscuits & Donuts in Carrboro, NC celebrates “Old School” baking with their feature Plain Glazed, Chocolate Icing and Old Fashioned with Blueberry Icing doughnuts. Try something a little less traditional with their Apple Fritter, Maple Bacon Bar or Crème Brûlée treats. 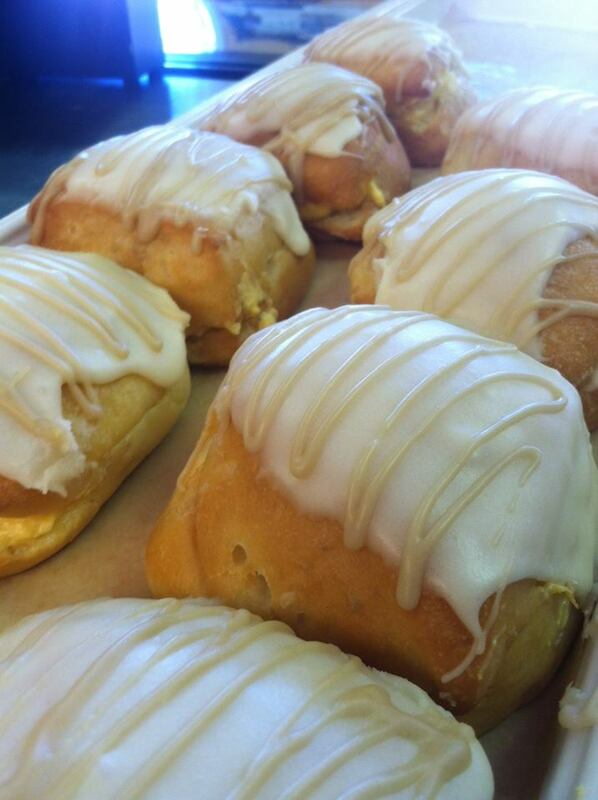 When taking a trip to Rise Biscuits & Donuts, you’ll never know what flavors you may encounter! No two doughnuts are alike! If you’re more interested in the savory, rather than the sweet, enjoy any one of their original biscuits topped with fried eggplant “bacon,” potato hash cake or pimento cheese! WHEN: Open daily 7 a.m.- 2 p.m. It may not be the traditional doughnut that you are used to, but Mr. A’s Beignets in Apex, NC brings the sweet taste of New Orleans right to you. 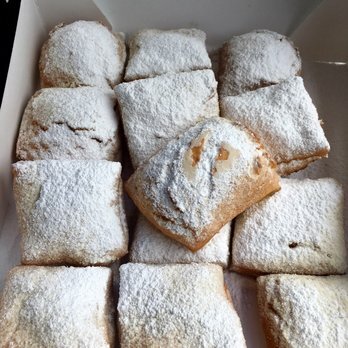 Striving to bring the authentic taste of Louisiana beignets and coffee with chicory to North Carolina, the beignet mix and coffee grounds are shipped right from New Orleans to Apex. Experience their motto, “Three Squares a Day,” with a visit to their local food truck, usually located in Apex. Take a Traditional Trio for the road or 12 bite-sized Bayou Bites to share later! 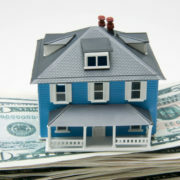 WHEN: Wednesday- Friday: 7 a.m.- 12 p.m.; Saturday: 8 a.m.- 12 p.m. While stopping in for freshly made baked goods, and some of the area’s favorite doughnuts, order your specialty cake for any celebration. Wake up with their specialty, Boston cream-filled doughnuts or any of their baked treats, including cheddar cheese beer bread or local honey buns. Some of their top doughnuts include their cinnamon sugar twist, homemade lemon curd and vanilla glaze, coconut filled with vanilla and toasted coconut and pumpkin filled with maple glaze. WHEN: Wednesday- Saturday: 7:30 a.m.- 6:30 p.m. WHEN: Open daily 7 a.m.- 6:30 p.m. Sometimes, the best doughnuts aren’t stationary. 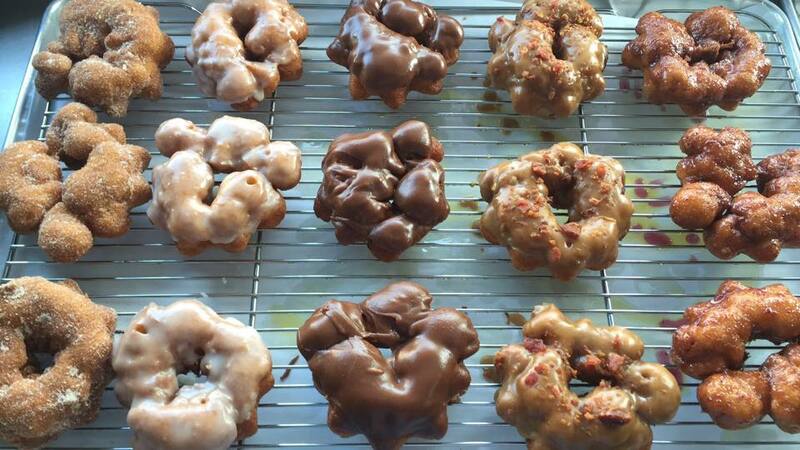 Dough Broughs are serving up tasty doughnut treats in their food truck, based out of Chapel Hill and Carrboro. Great sweets, at GREAT prices, Dough Broughs feature sweets from maple and bacon flavored doughnuts to cinnamon sugar! If you are looking to grab a bite from their food truck, check them out on Facebook for their times and locations in the Chapel Hill/Carrboro area! WHEN: Open daily 8 a.m.- 11 a.m.